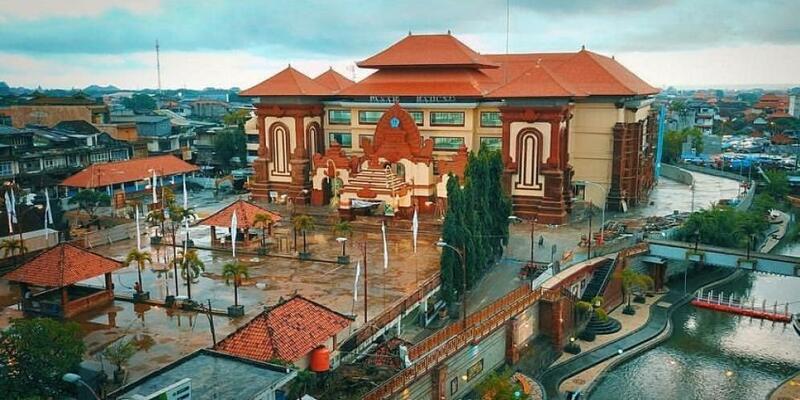 Denpasar is the capital city of Bali Province in the Republic of Indonesia. Located in the south of Bali, about 14 kms from the Ngurah Rai International Airport, Denpasar actually a small city. In compare with the word of Bali, Ubud, Sanur, Sanur, or Nusa Dua, the name of 'Denpasar' is not so popular in the world of tourism in the world. It could be understood because of the Bali's tourism is based on arts and culture, and Denpasar is not the barometer for Bali's arts and culture. Denpasar is so fast in developing and has a plural society. 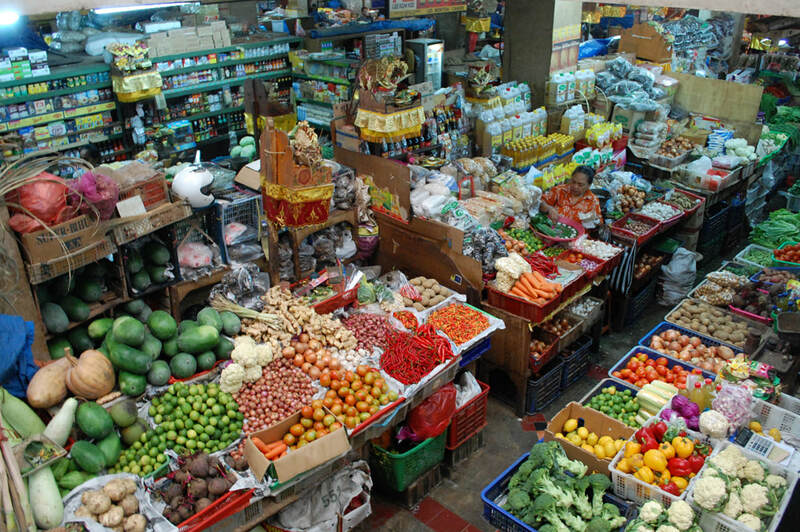 Traditional Market, at traditional market, you will find the transaction voice among buyer and merchant with multifarious merchandise according to the life need like daily kitchen need, appliance of Hindu ritual, fruits until the traditional clothes. In this market, you will find the unique thing from the local people especially the women when carrying the material or any items with extremely heavy, she put all of them on her head with a big basket. 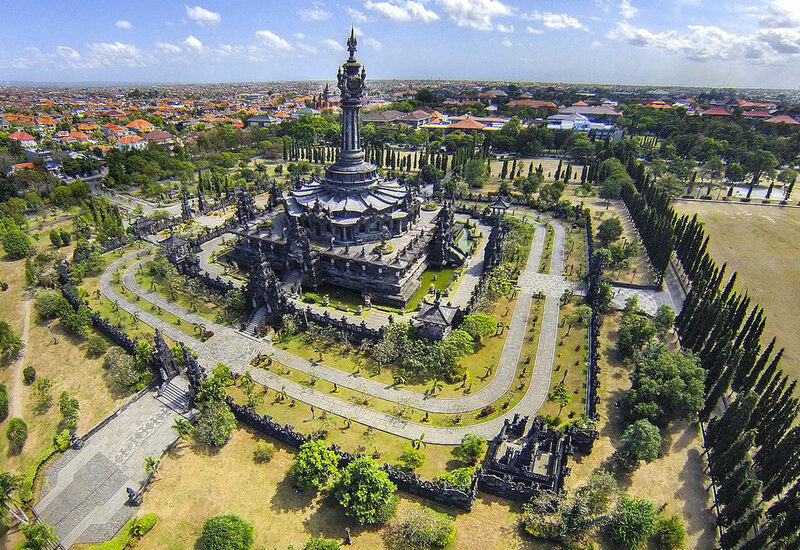 Bajra Sandhi Monument , Bajra Sandhi Monument is a luxury monument standing up in the middle of Denpasar town. This monument is a symbol of Bali people struggle to fill the independence after the Dutch Colonial gone from this country. The target of this monument is immortalize the soul and spirit of Bali people struggle, dig, looking after, developing and also preserves the Balinese culture to be bequeathed to next generation. 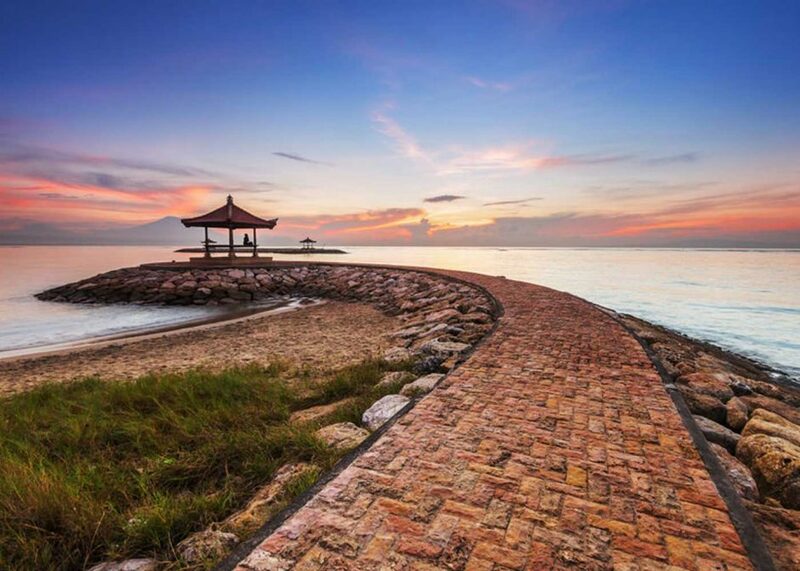 Sanur Beach , Sanur Beach is in the area which was first developed for tourists, it is about 35 minutes drive toward east from the airport. Sanur is full of surprises - you can choose from 5 star resorts right on the beach (you probably will find most of the beach resorts in Sanur area). Great place to go for long walks along the beach! Look out for these little huts, you can sit or lay in them and watch the sea and if you are lucky you will have a great view of Mount Agung.